If you’ve ever been injured on someone else’s property because of conditions that could have been prevented, you know how devastating it can be. Not only do you have to deal with the physical injuries, but factors such as escalating medical bills and lost time at work can make it a financial disaster, too. How Can a Premises Liability Attorney Can Do For You? One moment of negligence on the part of a property owner can result in a lifetime of pain and suffering. This is why getting in touch with a San Diego premises liability attorney as soon as possible after the incident is crucial. You may be entitled to compensation that will enable you to take care of your financial obligations and focus on your recovery. When you call the experts at Liljegren Law Group, we will quickly assess your premises liability case and take action to get the compensation you deserve. If you have been injured on someone else’s property as a result of their negligence, it may be possible to file a personal injury lawsuit against the property owner and recover damages. 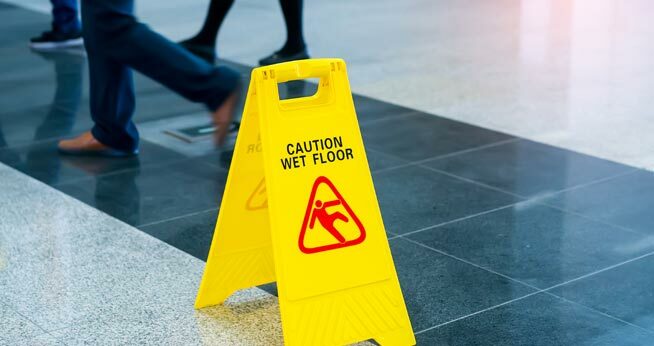 Slip and Fall Accidents – this is the most common type of premises liability claim, and it covers a wide range of situations. If you have been injured after a slip and fall on a residential or commercial property, you should give us a call to see if you have a case. Staircase falls can occur in residential or commercial properties, and result in long-term, debilitating injuries. Issues such as wet or slippery stairs, broken handrails, inefficient lighting, uneven landing spaces or inconsistent risers can all be grounds for a premises liability claim. If you have fallen down stairs and want to know if you have a case, get in touch with us as soon as possible. property owners and managers can be held liable if someone is injured while swimming in their pool. Slip and fall injuries around the pool, chemical burns from pool cleaners and even drowning due to unsafe swimming conditions are all possible. If you’ve been in a swimming pool accident because of poor supervision, negligence or lack of overall maintenance, you may have a case. California has strict laws in place regarding dog bites and owner liability. Even if a dog has no history of aggression, if you were lawfully on the property then the owner may be open to a premises liability claim. Get in touch with us today and we will assess your case and get the process started.